What are you looking for in a salesperson? As we discussed previously, there are aptitude tests available for sales people, which will help you to decide who is likely to be the most effective at sales. However, one of the best indicators of this is their track record, if you can get hold of it and be sure it is accurate. Good salespeople know and understand the sales process, and the strategies needed to sell successfully in any environment. Aptitude tests will attempt to give an objective analysis of the candidates’ understanding of the strategies required. In my opinion though, theoretical knowledge and practical results are not necessarily the same thing. 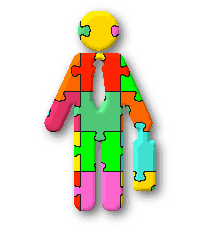 What skills and personal qualities do you need in your sales team? This very much depends on the sales role they will fulfill, they vary enormously, as do salespeople themselves. It is very difficult to be completely prescriptive here, but I will discuss the traits that you are likely to find in successful sales people. A successful salesperson understands people and knows how to influence them to make a purchase. They have a passion for selling, have strong influencing skills, leadership skills, are assertive, confident, articulate, and polite. They tend to be sociable, likeable and personable, intelligent, confident and outgoing. Some are charming and flamboyant. Sales people need to be able to listen as well as talk. They must be interested in people, be able to put them at ease, and ask the right questions to enable them to read the client and identify and understand their needs. They will use body language, as well as excellent listening skills. An empathetic salesperson will gain trust, and establish rapport with clients. They do this by understanding their position, showing concern and not being judgmental. The clients perceive that they have an interest in providing a proper solution for them, rather than just selling their product. They know how to show the client what difference the product will make to their lives, how the benefits will work for them. The successful sales person will also be self-motivated, driven, results and goal orientated, and have good time management skills. This combination of skills enables them to focus on the client, establishing rapport and identifying their needs, whilst simultaneously translating all this into a solution for the client, and achieving their own goals. The person you want to hire needs to be hungry, optimistic, competitive, always looking for the next sale. They need the initiative to deal with whatever problems are presented to them. They will be tenacious, persistent, they won’t take no for an answer, yet they are resilient enough to be able to accept that some clients are just not going to want their product, and this is not a reflection of them or their ability. They must know their product, and ideally the sector, to really make a difference to your sales. Many people say a good salesperson can sell anything, which is true, but also consider whether they have the contacts in your sector? They must understand the product, and who it will work for, be able to articulate the benefits of the product to the client; have strong presentation skills, the ability to communicate with people at all levels, have strong negotiation skills, be able to work on their own initiative and as part of a team. They should have the discipline to follow up with clients. They set goals for themselves, and they aim high. They plan their schedule carefully to make effective use of their time. But the very best salespeople aren’t always talkers, they’re actually effective listeners, building rapport with clients by showing empathy with them and their circumstances and questioning carefully to determine the client’s needs. A daunting list, I’m sure you will agree. Everyone is different, and successful sales people will vary from each other, and have the attributes we have discussed in different measures. You also need to consider the kind of product, and the type of sales the candidate will be asked to achieve. Technical sales may require the candidate to hold a degree or similar qualification in their technical field, but they also need to be able to develop a sales pitch which balances the technical with the persuasive. 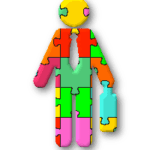 Other sales positions may require people to have a creative bent, or an understanding of some legal aspects, or to deal with people at difficult points in their life. I hope this has given you an idea of the type of qualities you are looking for in a sales person.